Each spa has different procedures for providing facial services. Some spas may only focus on exfoliation while others focus on deep cleansing. There are several standard processes that spas commonly adhere to when providing facial services. Here are the steps you can expect when you go in for a facial. The cleansing process will involve removal of makeup and other facial debris. Once your face is clean of any makeup, you will undergo a cleansing milk process that involves cleaning the neck and face. Your skin will then be dried to prepare for the next step. Usually a cosmetologist will examine your skin to identify areas of the skin that need specific treatments. They may pinch your skin to test the elasticity of the skin. After they know which treatments are needed for your skin, they will start on the next process. A cosmetologist normally starts the facial with an exfoliation. This includes a skin care mask that is designed to remove bacteria from the skin. The exfoliation process also entails placing enzyme pads or cucumbers on the eyes while the mask hardens. The cucumbers will help to reduce puffiness around the eyes. If you have a lot of blackheads, the specialist may recommend using a machine stimulation to help pull them out of the skin. The next step is the steam cleaning process. Steam cleaning the skin will help to cleanse the skin, using hot towels and steam on the face. The moist heat helps to loosen the skin, assisting in removing bacteria caught in the pores. The extraction process will help to remove all the impurities from the skin. The esthetician may use a magnifying glass and a blackhead extractor to remove the impurities. They will carefully examine the skin for impurities and will manually remove any visible issues. Receive a massage is another step in the facial process. The facial massage works to lubricate and stimulate the skin to improve elasticity. The esthetician will use lotion or oils on the skin to help it absorb the moisture. Some people may receive a head and neck massage along with the facial massage, as this relieves tension and stress. The massage is beneficial for people suffering from sinus problems; it helps them feel clearer and cleanses the sinuses. 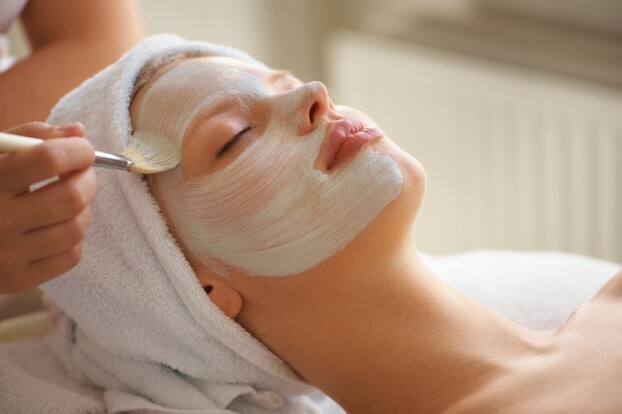 If you have oily skin, it is common to have another mask placed on the skin following the massage. It is used to help draw out the excess oil that causes blackheads and other skin problems. After the secondary mask, another massage will be given for a shorter duration to assist with the cleansing process. The final step in the facial process is using a serum to improve skin elasticity. It is beneficial for wrinkles and people with aging skin as it helps to limit blemishes and other impurities. After the serum is applied, you can go home with a clean face. Derek Todd is a freelance health & wellness blogger based in Lincoln, Nebraska. Readers looking for a great way to relieve stress should consider the top quality pedi spa experience provided by t4spa.com. Image credit goes to escarpmentretreat.